This is much more than just a fiber supplement – it’s a digestive support powerhouse! Manufactured to the highest standards of quality and featuring psyllium husk for natural dietary fiber content and prebiotic support. 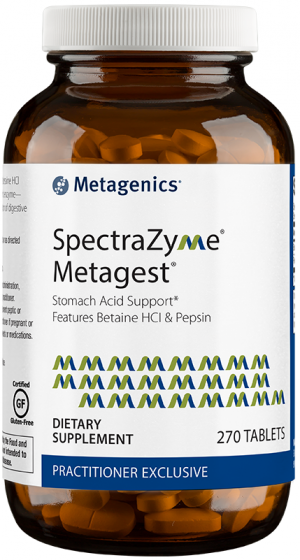 That’s what puts Metagenics Herbulk on the next level of fiber supplementation. Psyllium husk provides soluble and insoluble fiber as well as prebiotic properties for comprehensive gastrointestinal aid. 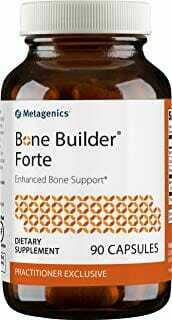 Often used along diet and exercise for weight loss support. May aid in natural detox processes involving the digestive tract. 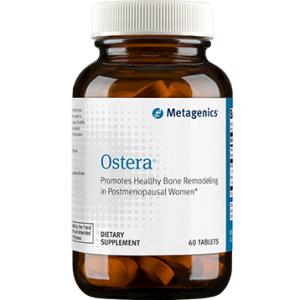 Dietary fiber is most commonly known for aiding in stool formation as well as stool softening. Also contains vitamin C in form of ascorbic acid. Fiber is a proven ingredient for nutritionally supporting healthy digestion. While most people associate dietary fiber and fiber supplementation with stool formation, the benefits of fiber within the digestive tract actually run much, much deeper. One of the main factors too often skipped-over in dietary fiber discussions is detoxification. Insoluble fiber in particular is effective at moving through the digestive tract without dissolving or absorbing water. As such, it speeds up the excretory process which is one of the primary ways that toxins are evacuated from the digestive system and the body as a whole. In many ways, this reveals how interconnected digestive support and healthy detox really are. Soluble fiber, on the other hand, is highly absorbent and gives one a prolonged sense of fullness after healthy meals. This is helpful for the sake of building good dietary habits, namely the prevention of over-eating, which have a huge impact on the digestive system. While there are countless supplement brands which offer products containing recommended dosages of soluble and insoluble dietary fiber, few are as carefully manufactured with the highest quality ingredients like Herbulk from Metagenics. 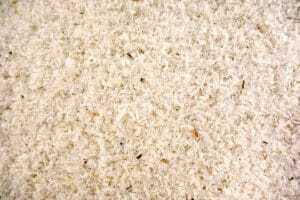 Herbulk uses psyllium husk as its primary fiber source. Psyllium is a great choice for fiber supplements due to its prebiotic properties. This means it aids in the healthy proliferation of probiotics in the gut. Probiotics are also deeply related to gastrointestinal detox. Caution: Take this product as recommended, mixing 1 level scoop (8.3 grams) of Herbulk with at least 8-12 ounces of fluid per serving. Taking without enough liquid may cause choking. 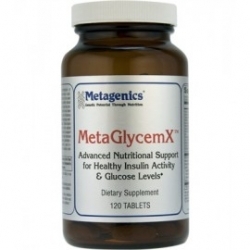 Do not use if you have difficulty swallowing, or are sensitive to inhaled or ingested psyllium. As many individuals have an insufficient dietary intake of fiber, some may benefit from beginning with ½ scoop daily for one week to improve tolerance. Other Ingredients: Isomalto-oligosaccharide, psyllium husk powder, cellulose, citric acid, natural flavors,† ascorbic acid, rebaudioside A (Stevia rebaudiana leaf extract), and beta-carotene (color). 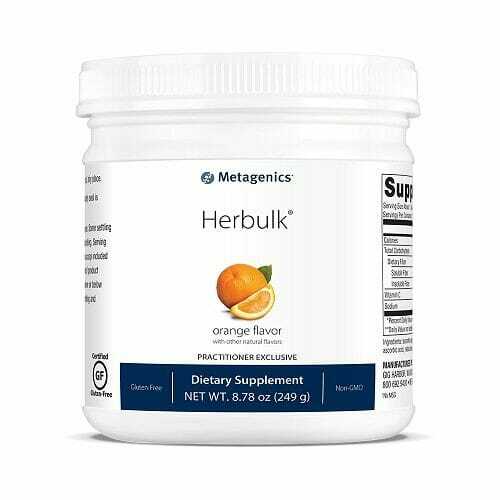 Blend, shake, or briskly stir 1 level scoop (8.3 grams) of Herbulk into at least 8-12 ounces of water, juice, or other beverage, or as directed by your healthcare practitioner.